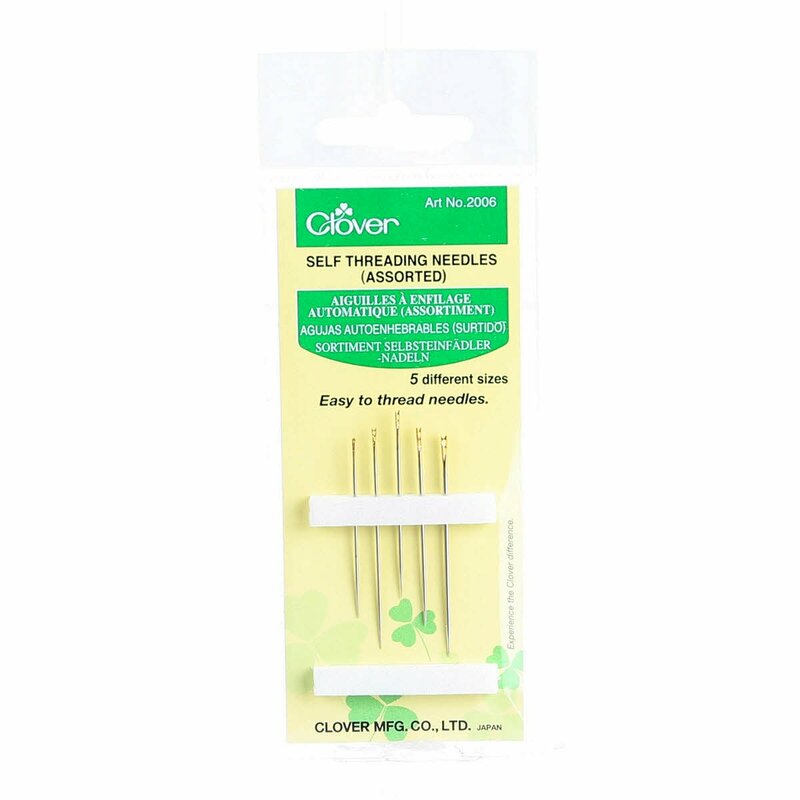 Recently, I came across a “stash” of Clover Self-Threading Needles here at the store and though it was time to share their secrets. These needles are very interesting, indeed! The needles from Clover, have a convenient built-in threader (a notch at the top allows a sewist to “click” the thread into the eye versus threading through a regular needle eye. The Clover Self-Threading Needle where you place your thread, then proceed to pull it down gently for it to go into the top eye. Voila, you have threaded your needle without much effort! The package comes with five different sizes for use on normal cloth to thick fabrics. Here’s a quick video demonstrating these unique needles in action. These self-threading needles work great for burying threads in your quilt. Check this out!